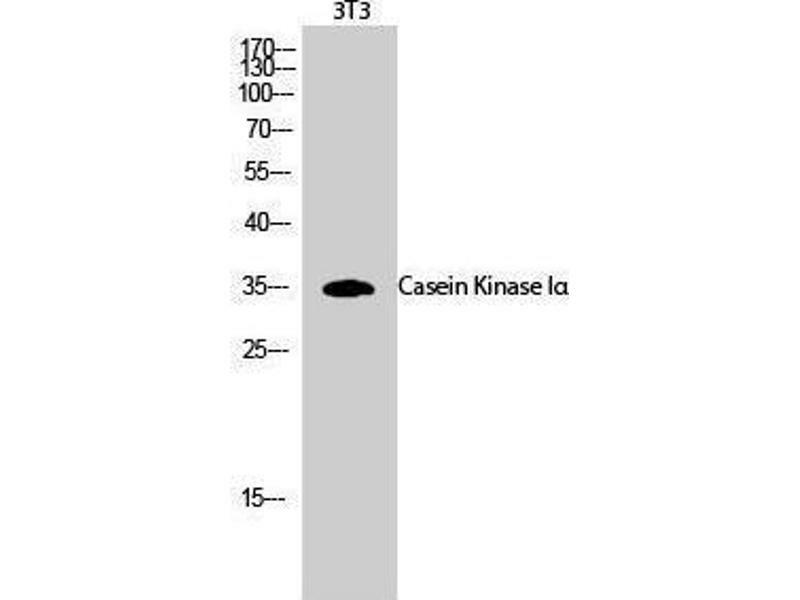 Western Blot (WB) analysis of specific cells using Casein Kinase Ialpha Polyclonal Antibody. 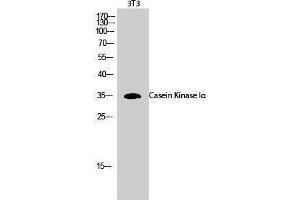 Specificity Casein Kinase Iα Polyclonal Antibody detects endogenous levels of Casein Kinase Iα protein. 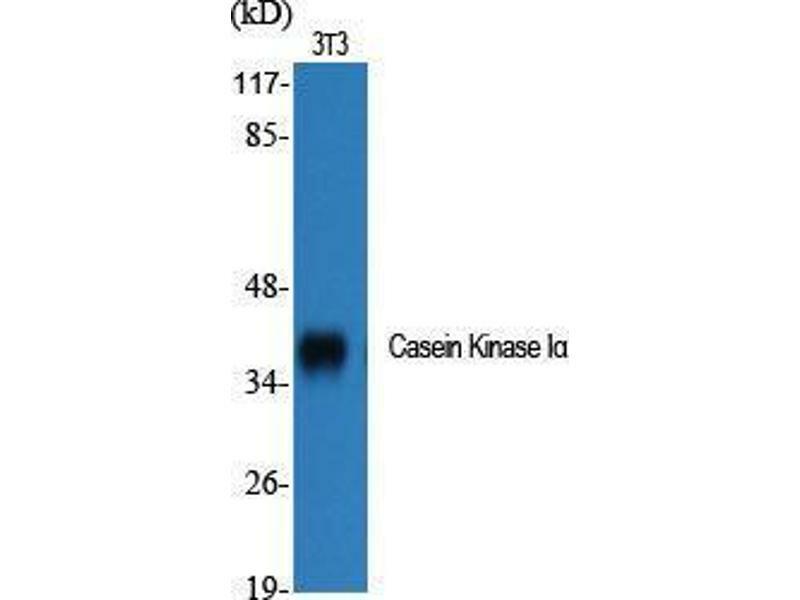 Characteristics Rabbit Polyclonal to Casein Kinase Iα. Immunogen Synthesized peptide derived from human Casein Kinase Ialpha around the non-phosphorylation site of Y321.